Soon, keeping your head down won�t be enough to stump high-tech security cameras, thanks to Pentagon-funded researchers developing mini-cameras that can nab threats by hunting down � and scanning � their eyeballs. A team of electrical engineers at Southern Methodist University (SMU), led by Professor Marc Christensen, first created the cameras with funding from Darpa, the Pentagon�s research agency. Called Panoptes, the devices use low-resolution sensors to create a high-res image that can be captured using a lightweight, ultra-slim camera. Because they don�t use a lens, the cameras were originally designed for miniature drone sensors and troop helmet-cams. Only a year later, the Pentagon is giving SMU another $1.6 million, to merge the cameras with active illumination and handheld Pico projection devices. This allows photos captured on small devices to be transformed for large-format viewing. Whereas the first goal of the program was to create slim cameras with the power of a lens, the latest technology �lets us do even more than what a lens could do,� Christensen told Danger Room. The new devices will yield a robust 3-D image that�ll be useful for seeing in caves and dark urban areas, and for the creation of versatile �non-cooperative� iris-detection security cameras. 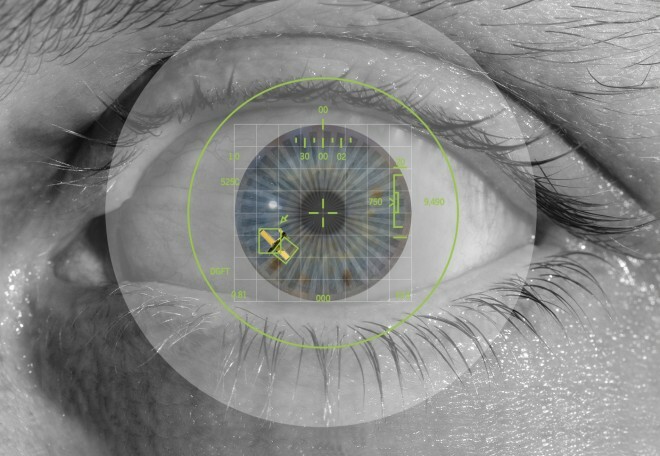 Smart-Iris, the name of the new Panoptes innovation, is being developed in conjunction with SMU Professor Delores Etter, who specializes in biometric identification. It�ll eliminate problems like glare, eyelashes, dim lighting � and an unwillingness to stop and stare directly into a dedicated iris-detection camera. Instead, Panoptes devices will zero in on a face, no matter angle or movement, then narrow right into the iris. A long line of people, moving through a line, could be scanned by wall-mounted cameras and they wouldn�t even notice it was happening. And new algorithms are being developed by Etter and colleagues to identify individuals based on segments of their iris, rather than a full frontal scan.